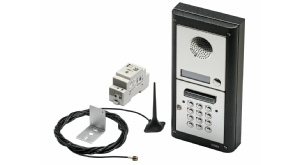 Totally self contained GSM door entry system Requires only Sim card. Door panel, Psu and antenna included. Facilities include divert one or more (Max 5) numbers, dial in to open facility (no network charges and for up to 250 telephone numbers), signal strength checking and alarm output with text message. Programming is by SMS text. The codelock has 3 codes. 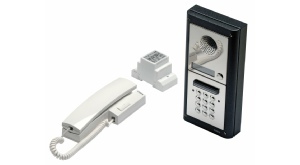 Audio entry kit based on the 4000 Series modular design incorporating two way speech, electronic call tone and lock release facility. The door station is surface with a back lit name plate. 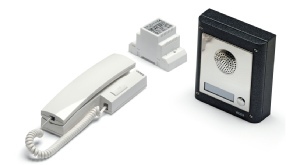 The standard finish is a stainless steel facia with gun metal grey surround.The telephone is wall mount with a lock release button and a three position call tone volume control. Up to 2 additional handsets can be added. 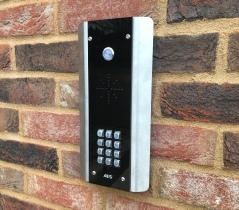 The programming of access codes is carried out using the codelocks keypad, codes can be 4-8 digits. 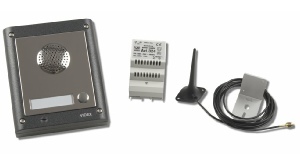 Our range of audio entry units are the perfect solution for our gate automation systems. 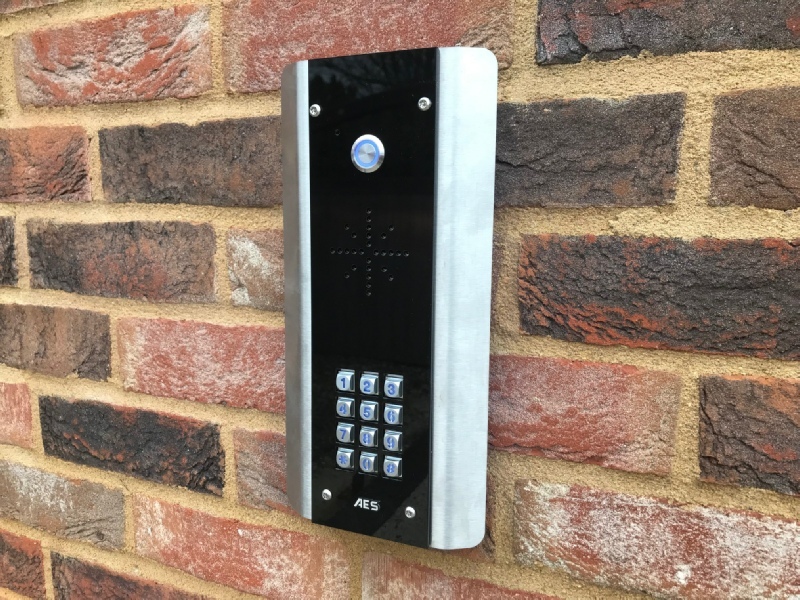 Our GSM range eliminate the need for lengthy wiring installations from the gates to the property as they work off a simple sim card setup that is reliable and inexpensive to run. This also means you are free to come and go and don't need to wait in for those all day deliveries. After you have spoken to them you can hang up or press 1 on your phone to open the gates remotely. Oh and you've just realised you have left your key fob at home? No problem ! Simply use your mobile phone to call the gates (Free of charge) and they will open.